Pensioners with younger partners could lose out on hundreds of pounds from May under Government changes. Couples where one partner is younger than the other could lose out under changes being introduced in May. From 15 May, couples applying for Pension Credit must both have reached the qualifying age – usually State Pension age (see below). At present, only one partner needs to reach the qualifying age for both partners to receive Pension Credit. This small change is expected to save the Government £400 million and could cost couples hundreds of pounds. While a couple would receive £255.25 in Pension Credit per week (from April), with just one partner receiving it, that amount drops to £167.25. However, the change will not affect mixed-age couples who are already receiving Pension Credit, or those who apply before the 15 May. It is also possible to backdate your application by three months – meaning, in theory, you could still receive the full couple Pension Credit despite applying as late as 13 August, providing you were already eligible on 14 May. If you're planning to avoid the changes and apply before 15 May, read on to find out more about how Pension Credit works, who is eligible and how to claim. Pension Credit is an income-related benefit that can boost your State Pension. It’s made up of two parts; Guarantee Credit and Savings Credit. Guarantee Credit is a weekly payment that you can get to top-up your income to a minimum level. Savings Credit is a reward for those that have saved some money towards their retirement, for example in a private pension. Guarantee Credit tops up your income to £163 a week if you’re single or £248.80 if you’re in a couple; this will change to £167.25 and £255.25 from 6 April. Savings Credit pays up to £13.40 extra a week if you’re single or £14.99 a week if you’re in a couple. These will increase to £13.72 and £15.35 from 6 April. You can use the Government’s Pension Credit calculator to work out how much you could get. You are treated as a couple if you live with your husband, wife or partner. You don’t have to be married or in a civil partnership. 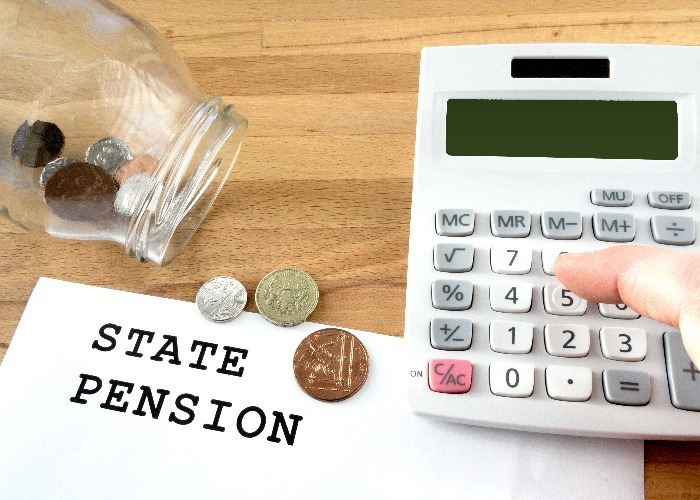 Depending on your circumstances you may be eligible for one or both parts of Pension Credit. Guarantee Credit is available if you live in Great Britain and you and your partner have reached the qualifying age. The qualifying age for Guarantee Credit is gradually rising to 66 by 2020 in line with planned changes to the State Pension age. You can use this calculator to see what your qualifying age is. To be eligible your weekly income must also be less than £163 (£167.25 from 6 April) or £248.80 (£255.25 from 6 April) if you’re part of a couple. You may be able to claim even if your weekly income is higher if you have a severe disability, you are a carer or have to pay housing costs like a mortgage. Savings Credit is only available to people that have reached State Pension age before 6 April 2016. If you are entitled to Pension Credit you may also be eligible for other benefits. So even if you are only eligible for a small amount of Pension Credit, it’s worth claiming to open up other help. Use a benefits calculator to figure out what else you can get. The earliest you can apply for Pension Credit is four months before you reach Pension Credit qualifying age. That's the women's State Pension Age, if you were born before 6 December 1953, or your State Pension age, if you were born after 6 December 1953. You can also claim any time after you reach Pension Credit qualifying age, however, your claim can only be backdated for three months. In order to get Pension Credit, you need to make a claim for it. The quickest way to do this is by calling up the Pension Credit claim line on 0800 99 1234 (textphone: 0800 169 0133) – it’s open Monday to Friday, 8am to 6pm. An agent will fill in the application for you over the phone. If you don’t want to make a claim by phone, you can request a paper application is sent to you. You will need your National Insurance number, information about your income, pensions, savings and investments plus your bank details to make a claim.